When opting for custom accommodations, the furnishings will be leased to the tenant of the apartment, and the tenant will be responsible for the up keep of the furniture. Any damage to the furniture such as stains and breakage will have to be accounted for at move out time. This is the same as any unfurnished apartment situation where the tenant has some sort of security deposit or pays a fee to replace items damaged not due to normal wear and tear. Read the contract carefully because smoking in a furnished apartment can be considered damage, because the furniture can’t be re-rented to a non-smoker. Also you’ll want to understand the complex’s pet policy which may stipulate larger upfront fees. Before signing a contract, ensure you’ve done due diligence and that you have located the best furnished apartment in Norfolk. An important thing to consider is security. 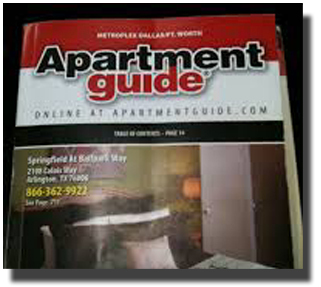 For the person looking for a furnished apartment you’ll want to check to see if the complex employs security guards on the grounds or if there are video security cameras to deter and record misdeeds. There are many amenities that extended stay apartments in Norfolk can provide. Depending on the accommodations you need these amenities can make a huge difference in whether you decide to rent or not. Some typical amenities are a laundry facility, a swimming pool or proximity to beaches, a fitness center or sport courts. When considering amenities, these can range from security cameras, dead-bolt locks, gated entrances, to more serviceable things like ceiling fans, high-speed internet, cable and off street parking. So, whether you’re looking for extended stay housing in Norfolk on business travel or looking for military off base housing in Norfolk make sure all the necessities of home are included in your package.